3 Beers You Should Try This Weekend (12/15/17) – Beer Talk Inc.
It’s that time again! Time for me to tell you the 3 beers to find and consume for the weekend! I had this beer last year when I was at the beach. It was an excellent Vienna Lager. It is from a brewery out of New York, but I am sure that it can be ordered at your local beer barn. At 5.5 it’s not one that you have to worry about drinking 4 or 5 of and being completely hammered, which makes it a great alternative for a casual drink beer. Overall I would rate this one a 4.1 mugs out of 5. This is the IPA that made me start loving IPA’s. 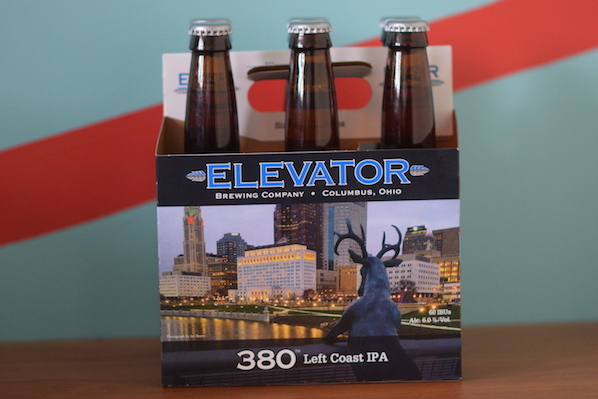 Elevator is based out of Columbus, OH. a brewery that I have actually visited and toured. This is a West Coast style IPA and it is very full bodied for an IPA. I am actually upset my local bar no longer has this beer on tap. This beer is so good that I am gonna give it my second highest score yet, a 4.8 mugs out of 5. Has work been rough this week? Are you ready to get a kick start to your weekend? Well then you might as well just head out of the office early today and get happy hour started with an ice cold Bud Diesel. The image above is of the new design of the 16 oz aluminum bottle that will fit perfect in the cup holder of your car, but don’t drink and drive (wink wink). This is the best beer for weekend folks and that’s why I’m giving it a 5 mugs out of 5! Well there you have it folks, the beers you should be consuming this weekend!